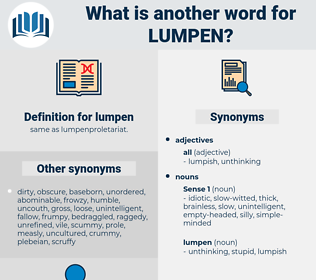 What is another word for lumpen? genteel, highborn, upper crust, great, lofty, gentle, high, smart, noble, aristocratic, eminent, prominent, highbred, wellborn, blue-blooded, notable, grand, illustrious. 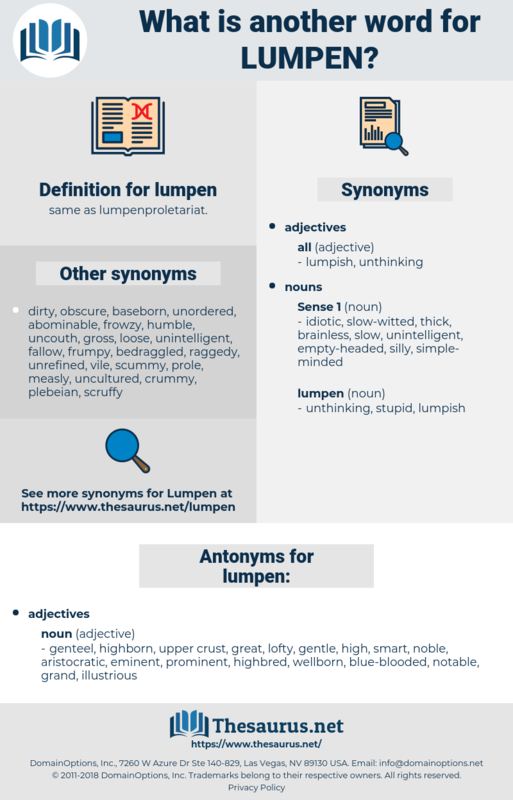 lima bean, lymphoma, lampoon, loony bin, limnobium, lymphopenia.